Get a FREE Lens Cloth and Cleaner at Walmart! Click the link above to print the FREE Lens Cloth and Cleaner coupon. 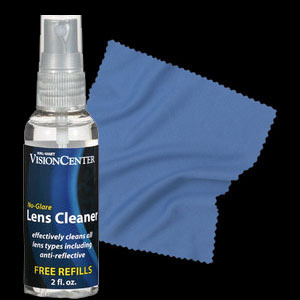 Take the coupon at your nearest Walmart Vision Center to get free lens cloth and cleaner. You can also get free refills when you bring the bottle back! To find a Walmart Vision Center near you, click here.